Located off a small side street in the historic town of Évora, Portugal is one of the best eateries in the area. 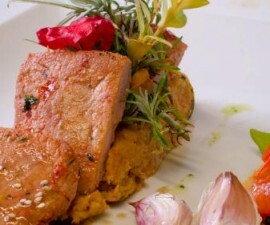 Luar de Janeiro restaurant has a long reputation as a provider of some of the best regional cookery in the town and has been rewarded for its efforts with several accolades and prizes. This is the ideal restaurant in Évora to sample the traditional delicacies of the Alentejo. Here you will find them cooked to perfection and served by friendly, welcoming and knowledgeable staff, which makes a great effort to ensure their guests enjoy not just the delicious food but also their whole dining experience. 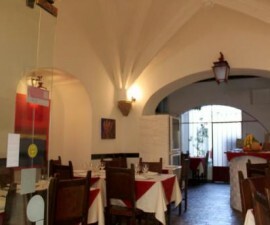 The entrance is off a small cobbled road but opens out into a lovely dining room, which although decorated in traditional style with whitewashed walls and dark carved wooden furniture, is somewhat more sophisticated and elegant than other restaurants of its type in Évora. The Luar de Janeiro Restaurant dates back several decades and began life as a “tasquinha”, a kind of snack bar and tavern that is popular in Portugal. Originally specialising in poultry dishes and snacks such as tasty garlic-infused snails, it moved on to expand its menu to include many of the regional favourites of this Alentejo region in Portugal. 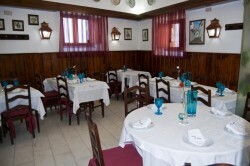 These days Luar de Janeiro Restaurant in Évora is a byword for gastronomy. The best way to eat here is to order a selection of small starters from the menu as soon as you arrive, to give you time to savour the delicious flavours of the local cheeses, asparagus, cold meats and so on. The restaurant still specialises in poultry and game, offering some delicious partridge and duck dishes on its extensive list of main courses. The baked goat is also delicious, literally falling off the bone and tastes superb washed down with a glass of the local Alentejo wine. The wine list is particularly well-chosen, featuring not just local bottles (though it is hard to go wrong if you choose one of these) but also a good selection of vintages and grapes from all over the country and beyond. 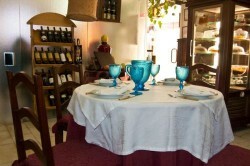 Prices are higher than many establishments in Évora, but then so is the quality to match. So if you decide to push the boat out one evening during your stay in order to sample some of the best food this historic city has to offer, Luar de Janeiro Restaurant is the place to do so.